On July 10, 2006, the TTABlog reported (here) on INTA's letter of June 23, 2006 to Commissioner for Trademarks Lynne G. Beresford, recommending that the PTO revise its policy regarding the citability of Internet evidence. (letter here). In particular, INTA requested that the PTO "establish an unambiguous policy that would prohibit the use and citation of Wikipedia and similar sites by Examining Attorneys." On August 7th, Commissioner Beresford responded (letter here). The Commissioner states that the PTO will not prohibit the use and citation by examining attorneys of "websites that feature content submitted by members of the public rather than professionals with expertise in particular subject areas." Instead, it will be up to the TTAB to determine "what weight, if any, to bestow upon all of the evidence of record from whatever source it has been acquired." Commissioner Beresford remains "confident that the ultimate determination of registrability remains dependent upon the assessment of the nature and character of the totality of the evidence by the administrative trademark judges." 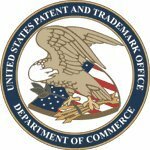 "The USPTO's Office of Trademark Quality Review and Training will give examining attorneys guidance and instruction about the probative value of collaborative websites with permissive edits. Such evidence must be considered in light of the nature of the mark, the identified goods and services, the existence of corroborating sources or the lack thereof." TTABlog comment: I still think the PTO should just tell its Examining Attorneys not to rely on collaborative websites like Wikipedia. As the Commissioner's letter indicates, the Examining Attorneys will be told to consider whether there are other sources (presumably not other collaborative websites) that provide corroboration for this "suspect" evidence. But if corroboration is required, why even look at the collaborative website in the first place? In short, Commissioner, just say "no."